While I read a book, I always have take some notes about beautiful words, interesting thoughts… I underline, not on the book pages, I hate this ! But on my red spiral notepad next to me, the quotes to remember or to use for my review. This time, I should have noticed nearly everything because each paragraph is important, each chapter is interesting. I learned more about the history of women, how they were (and still are in a way), underestimated by men. And Mary Wollstonecraft has great and very modern thoughts about the children’s education, boys and girls, and so many other subjects. 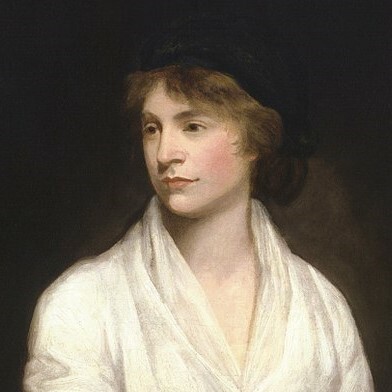 I would have liked to quote all the book for you, readers, because Mary Wollstonecraft was so intelligent, courageous, cultivated, in a time were women were, because they had to be, uncultivated and afraid. Mary Wollsronecraft tells us, women, the reason why we see ourselves the way we do, and still nowadays… if she knew ! I can’t write a longer review, because all I could do would be paraphrasing her.